Anoushka Beh, MSc (MFT), BSc Hons)(UK), is a Psychologist, Marriage and Family Therapist & Life Coach. She trained at University College London in Psychology, and at the Marlborough Family Clinic, where many of the pioneering techniques used today to help families were developed. She continued her clinical work with families at the Hong Kong University Family Institute (HKUFI) , where she collaborated with the University of San Diego and was published in Family Therapy Magazine. She was later awarded a Masters in Marriage and Family Therapy with distinction from Hong Kong University for her work on overcoming trauma and enhancing relationships in families. Anoushka was born and raised in Singapore and is passionate about living and working in this city. Of South African and Chinese parentage, she connects well with people from a wide range of cultural backgrounds, supporting both the expat and local communities in Singapore. She is also deeply aware of the cultural nuances and unique challenges that come with living in this dynamic, international and evolving context. In her spare time, to bring balance, she also enjoys hiking, reading and her life-long practice of yoga. Having grown up largely in Singapore, it’s been interesting to return to see how much things have progressed and how I fit as a TCK in this changing landscape. My experience as a TCK bears very much as what I say as a therapist about the connection between being a TCK and how that’s made me feel about family and relationships and what we can learn. I myself am of South African and Malaysian-Chinese descent, yet the term TCK wasn’t something I had heard of since I moved to the states to study, where I began to have to answer a lot of questions about where I was, which I didn’t feel I was ready to answer. I remember feeling confused about segregation in the University, especially in the food hall where the Chinese kids sat with the Chinese kids and so on, which was really different from my upbringing. I found myself asking where do I sit? I remember feeling very different and I couldn’t really understand who I was and where I would fit. Coming home over summer, some of the confusion was addressed with a friend who was experiencing something similar – where are we from and how haven’t we seen this segregation yet. She was reading a book on TCKs and some of what she mentioned in the conversation really resonated. What I would like for you is to take away how pivotal and illuminating that confronting experience was for me. I had grown up to the greater extent not seeing culture and race. I grew up with people from different cultures but it really was a non-issue, these things just weren’t considered defining elements of a person. One of the advantages of being a TCK is an absence of filters that connects you with others, an absence of filters that is especially helpful for me as a therapist. 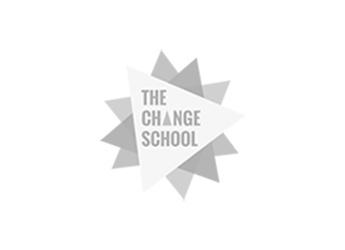 Our ability to connect with others as a human being – as essentially a member of the planet, I think TCKs have this as their default setting and very much have the ability to share this concept. Another concept that is important to TCKs is ‘home’, where is this place? 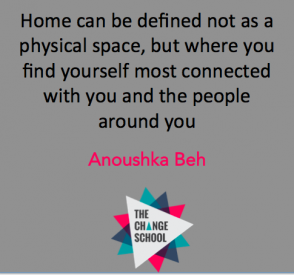 I think for TCKs, home can be defined not as a physical space, but where you find yourself most connected with you and the people around you. At the heart of my work is how can we break through our boundaries to love and understand those around us better. If we can take a leaf out of the TCK book of wisdom, and view ourselves as citizens of the world and ultimately accountable for our actions and environment around us, perhaps that will mean we will be one step closer to personal and planetary wellbeing.